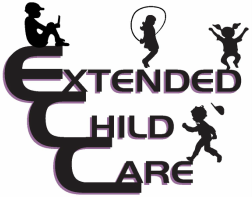 Extended Child care has a well-organized career ladder that encourages employees to continue their education, improve their skills, gain experience, and earn promotions within the organization. ECC has five employee positions available within each center, as well as substitute positions. Instructional Aid: Must be 18 years old and work under the supervision of the center director and other teachers to supervise children, present curriculum, maintain the facility, and communicate with families and visitors. Assistant Center Teacher: Must have 6 units in child development and/or recreation areas, and 6 months experience. They are responsible for supervision of large and small groups, presentation of curriculum, and communicating effectively with the diverse families that use the center. Center Teacher: Must have 12 units in Child Development and/or recreation areas, and one year experience. They aid in the daily management of the center with duties that may include supervision of children and other staff, curriculum presentation and planning, and communication with families, school staff, and agency administration. Assistant Center Director: Must have 12 units in Child Development and/or recreation areas, and one year experience. They aid in the daily management of the center and may assume the supervision of the center in the absence of the Center Director. The duties may include supervision of the children and staff, curriculum planning and presentation, record-keeping and budgeting, and communication with staff, families, school personnel, and agency administration. Center Director: Responsible for day-to-day operation of the center. They must have 24 postsecondary units in Child Development and/or recreation areas, in addition to 6 units of administration. They must also have two years’ experience working with children, teaching staff, program, facility, budget, record keeping, communication with school, parents, community, have curriculum development and delivery, and all other tasks necessary for the center's successful operation. Substitutes: In addition, Extended Child Care also employs a list of qualified substitutes who are available to work during the absence of regular program staff. Substitutes are not assigned to any particular center and work on an on-call, as needed basis. All Extended Child Care center employees must pass be SB 792 compliant, medical, TB, and fingerprint clearances.